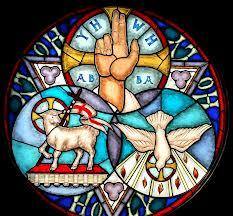 Trinity Sunday, a moveable feast also known as Holy Trinity Sunday, is celebrated a week after Pentecost Sunday in honor of the most fundamental of Christian beliefs—belief in the Holy Trinity. We can never fully understand the mystery of the Trinity, but we can sum it up in the following formula: God is three Persons in one Nature. 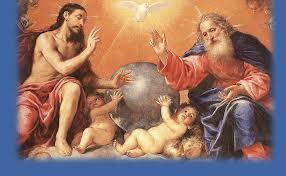 The three Persons of God—Father, Son, and Holy Spirit—are all equally God, and They cannot be divided. The origins of the celebration of Trinity Sunday go all the way back to the Arian heresy of the fourth century. Arius believed that Christ was a created being, and in denying the divinity of Christ, he denied that there are three Persons in God. Arius’ chief opponent, Athanasius, upheld the orthodox doctrine that there are three Persons in one God, and the orthodox view prevailed at the Council of Nicaea, from which we get the Nicene Creed, recited in most Christian churches every Sunday.